British cinema is obsessed with the effect of location upon the individual. In fact, it wouldn’t be so sweeping to suggest that large swaths of culture born on these isles stems from the idea that the individual can be deeply molded by their surroundings and any fictional drama from Albion will be bare the aesthetics of its areas as far more than a setting. While this can manifest in any variety of genres of film, as an idea it does sit more comfortably within genre cinema. 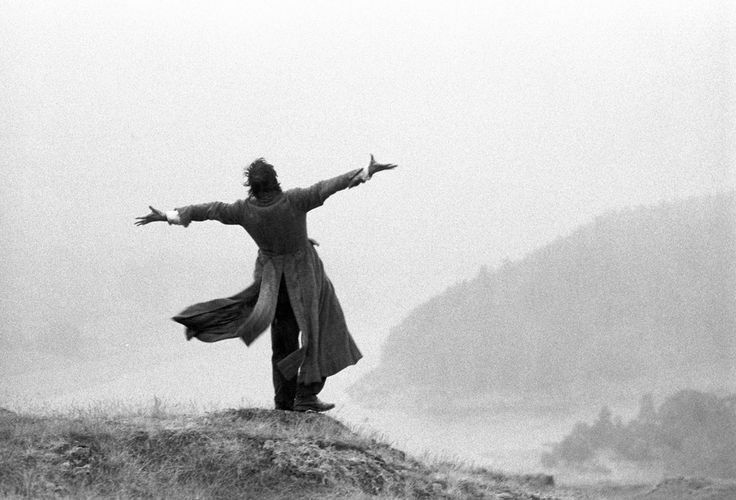 This is why the success of Bruce Robinson’s 1987 film Withnail & I is all the more surprising; even in its distinct British tinge, the presence of a location infused obsession is ultimately a surprise to find in a comedy. Robinson’s film chronicles the chaotic lives of two unemployed actors, convinced that they need to get away from the lowly, unappreciative streets of Camden in the late 1960s. 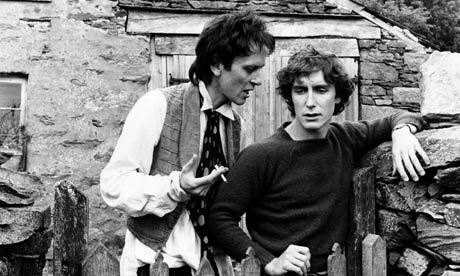 Said to be autobiographical, the story follows Withnail (Richard E. Grant) and “I” (Paul McGann) – whose name is actually Marwood – as they escape to the countryside, specifically to the house of eccentric Uncle Monty (Richard Griffith). This is, therefore, a film that relies strongly on the performances of its actors and their interpretation of the anxiety that is fuelled by their various locations. It is in the shock at finding how little these locations differ in their potential for anxiety inducement where the comedy and drama resides. The real driving force behind Withnail & I is this locational affect; the narrative is explicit in its themes of escape from cities and questions the logical role of isolation in rural environments. Before the pair leave for the isolated cottage where the majority of the film will take place, Robinson takes care to show a number of factors within the bricks and mortar of the city. In some ways the director takes the viewer on a tour like a professional psychogeographer, if such a thing exists. The places visited by the characters reveal a sense of repetition, perhaps even ritual as the same old haunts give in to tedium, boredom and discomfort. These are places where even the graffiti scratched upon toilet walls can result in anxiety attacks. In creating this paranoid relation to the urban environment, it allows the viewer to bask in the comedic moments of city-life absurdity while also providing a wonderful aesthetic to showcase creative life. In the film’s opening half an hour, pubs, bed-sits and empty London streets (itself an exotic sight in our modern, crammed context) take up so much of the backdrop that it becomes visually alluring to those not entirely distracted by the antics of the protagonists. It is fitting in that when the pair finally up and leave their drug-swamped life in their decrepit Jaguar, it comes just after the smashing up of a redbrick building by a wrecking ball. It is even more telling that their return is marred by a motorway journey; the concrete pathways being social hunting grounds for authority, highlighting that, whether in the rural or the urban zones, land and space is almost always secondary to the rules and regulations of property. In spite of the obvious comedy of the rest of film (which does occasionally enter dark territory), the film’s contrasted portrayal of the countryside is far more interesting; its own comedy lying in its unfortunate social resemblance to the city the characters wished to escape from. 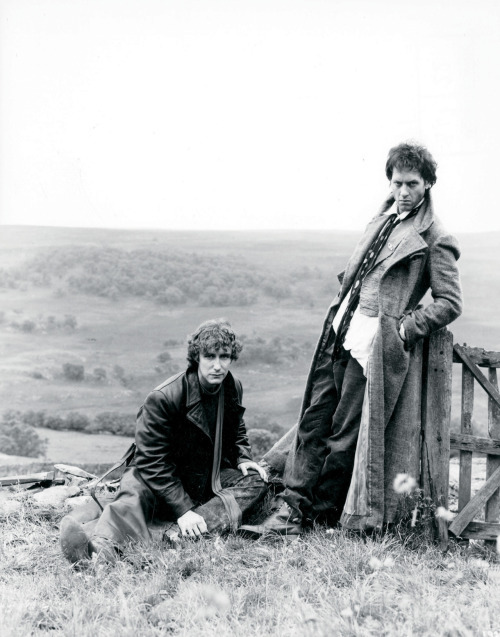 Withnail and Marwood appear to be seeking an escape from the dreary life of creative failure yet they also fail in their attempt to find contentment in the ragged landscape. Robinson at first pictures the countryside as a polar in just about every way, finding some beauty in a handful of shots but largely showing the area to have just as negative effect on the characters as their dingy city bed-sit. Replacing the aggressive Irishmen in pubs and stoned out drug dealers, the countryside instead provides aggressive farmers and “country folk” who have no wish to deal with “London types”. The location is isolated but, by providing the characters with relatively similar problems, it also suggests that the crowded city bares a frustrating resemblance. It is not so much the places that are causing the problems but the people. Like Satre’s No Exit, Withnail & I is the epitome of the play’s mantra, “Hell is other people.” but expresses such a notion by landscaping its sociology. Responses: Blind Landings (2013) – Jane And Louise Wilson.